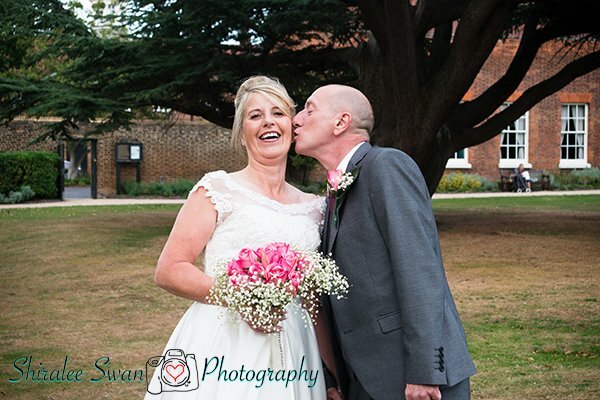 Welcome to Shiralee Swan Photography, I am a full-time professional female wedding photographer in Billericay, cover Weddings in Essex, East London and the Home Counties. Capturing Weddings in a modern unobtrusive way, documenting the whole day from the Bride preparations to after the first dance and beyond. You have spent a long time planning your Wedding Day every last loving detail. 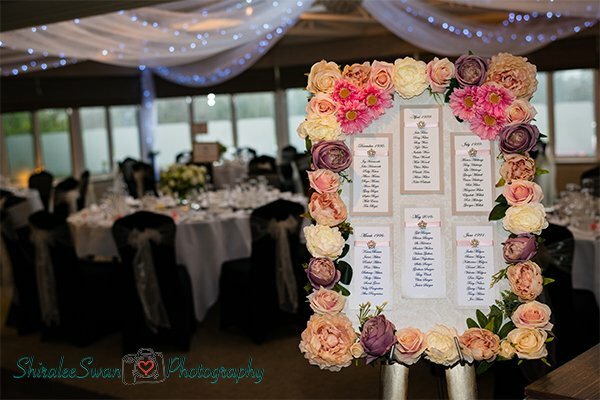 From your beautiful Wedding dress to the table plan, flowers to bridesmaids shoe, no little detail has been left to chance. 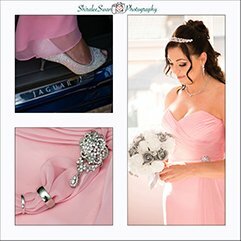 I feel it is so important to find the right Wedding photographer for you. Your wedding photographer will be with you during one of the most emotional days of your life. “I do feel all Brides are more relaxed with a lady photographer”. With no two Weddings being the same I don’t work to a set list of Wedding photographs, we work together to build what you the Bride wants. Do you have a question? please feel free to call Me 07759403351 No question is too small or silly. I remember this is YOUR day and will be full of YOUR memories. I never loose sight of this. This is why I am lead by what you The Bride wants. If you’re a little camera shy then it’s worth considering an engagement or pre-wedding shoot to settle your nerves and get you more comfortable with Me and get an understanding how I can photograph you without getting too close. It’s a great way for us to get to know each other and shed any fears you may have about being the centre of attention and having a camera pointing at you. Pre-wedding shoots can be a very relaxed, a walk in the county chatting and capture some lovely images or you may like me to attend your Engagement Party. Both are great opportunity to capture some great pre Mr & Mrs memories. These images could also be used as Your Save The Date Cards or as a Signing Board on your Wedding Day. The mount surrounding one of your Engagement photographs. 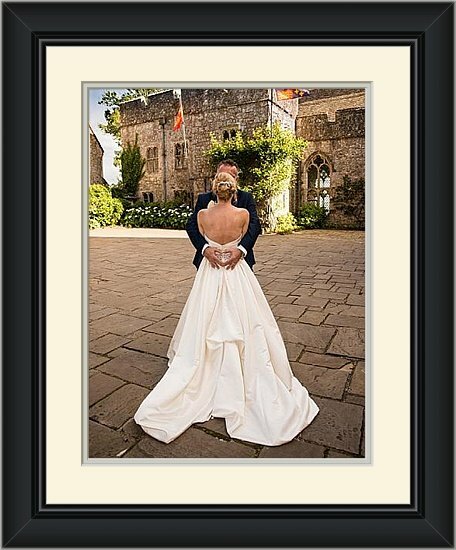 After you wedding day I can change the engagement photograph to your favourite Wedding Day photograph for a lasting memory to adorn your home. As your wedding day draws closer I will arrange a meet up with you at your venue or venues where we work through the detailed timings of your wedding day, including any special details or Wedding photograph requests you may have. 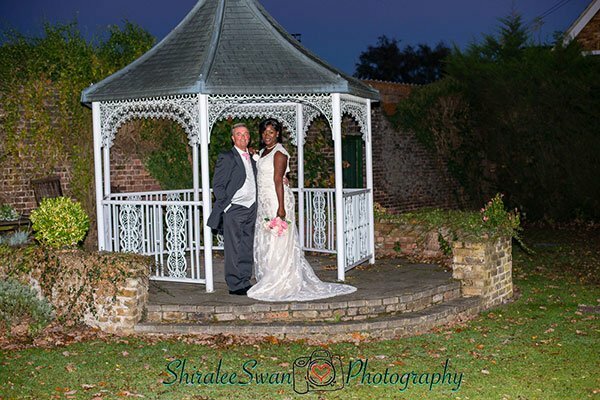 I have photographed many of the Wedding venues in Essex and the Home Counties, I have not photographed your Wedding venue with you. 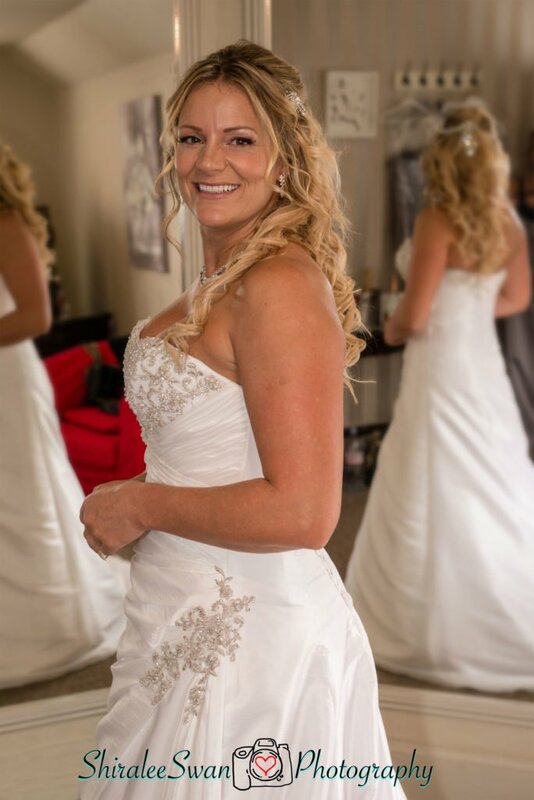 I am happy to guide you at your chosen venues to where we can capture amazing memories of your Wedding Day. I will arrive approximately an hour before your wedding cars arrive. I love the buzz and the excitement of the Bride prep it can be electric. Being a female wedding photographer I feel Brides and the Bridesmaids are more relaxed. There are less worries with me mixing with the bridesmaids when they are getting dressed. I am happy to help with zips and tucking in hanger ribbons on dresses etc. 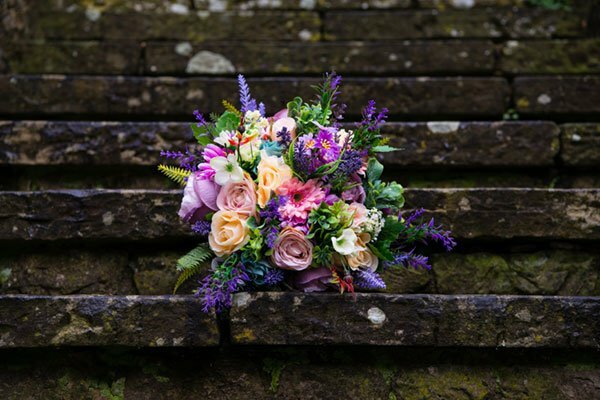 This is also the time for me to photograph your wedding flowers, bouquets with wedding shoes is always a favourite memory whether you are wearing Jimmy Choos, or Converse, capturing your make-up artist your hair dresser too. Investing in your Wedding photography is a very important decision to make. In time when the excitement and the joy of your Wedding day has past. You will have smiles and memories flooding back every time that you look though your beautiful album packed with your memories. I will arrive to photograph the Brides prep and finish photographing just before the sitting down for the Wedding Breakfast. All photographs will be edited and available to download via your private password protected gallery ready to print copyright free. As (One) But with the additional coverage of Speeches, Cake Cutting and the First Dance. Pre-Wedding Consultation. We meet up for coffee & chat. You can see lots of my work in print. This can be at your home or my office in Romford. Pre-Wedding meeting at Venue. We can normally tie this in with your last coordinator meeting. I will arrive for the bride prep. 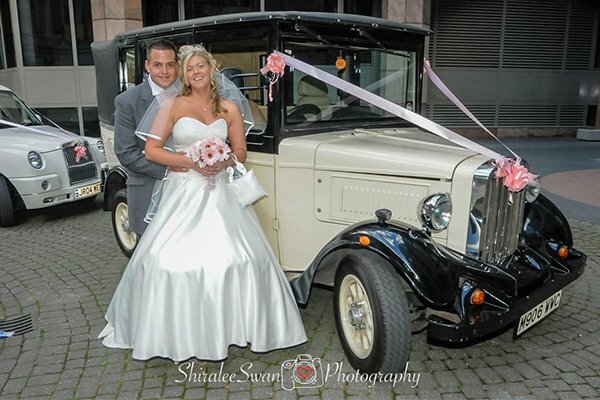 Staying for the whole day capturing your memories, including the Speeches, Cake Cutting and 1st dance. 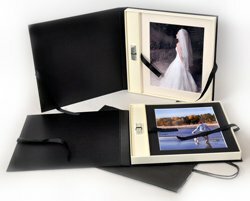 Folio Box containing 8 of your favourite photographs & USB. Key images retouched if needed. On-line Gallery password protected. To share with family and guests where they can purchase photographs. Pre Wedding Photoshoot. A relaxed photoshoot so you can get used to being in front of my camera & me giving you direction. Folio Box containing 8 of your favourite photographs including USB. Key images retouched if needed. Proof Photo Book 10x 8"